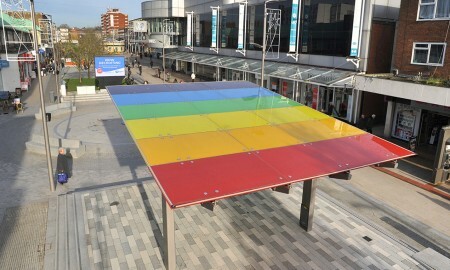 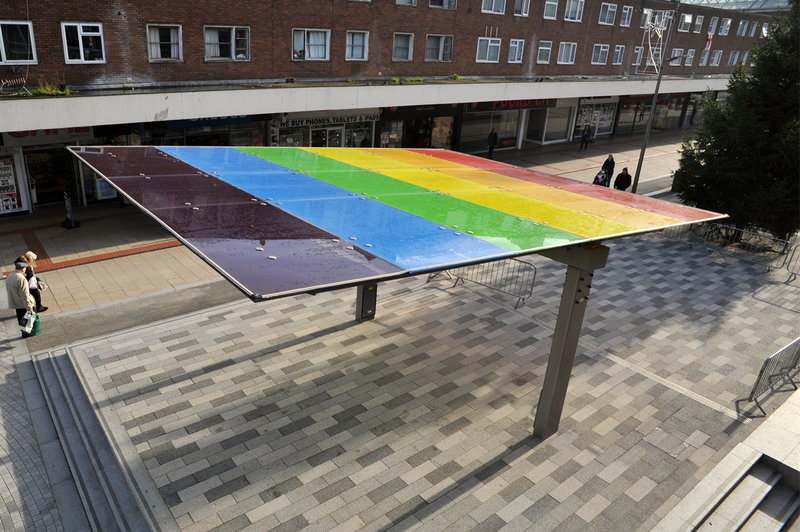 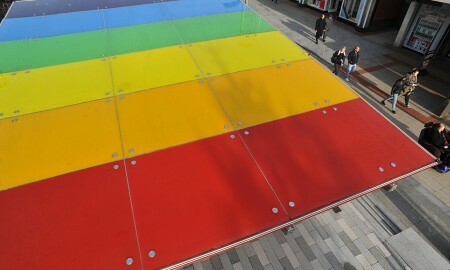 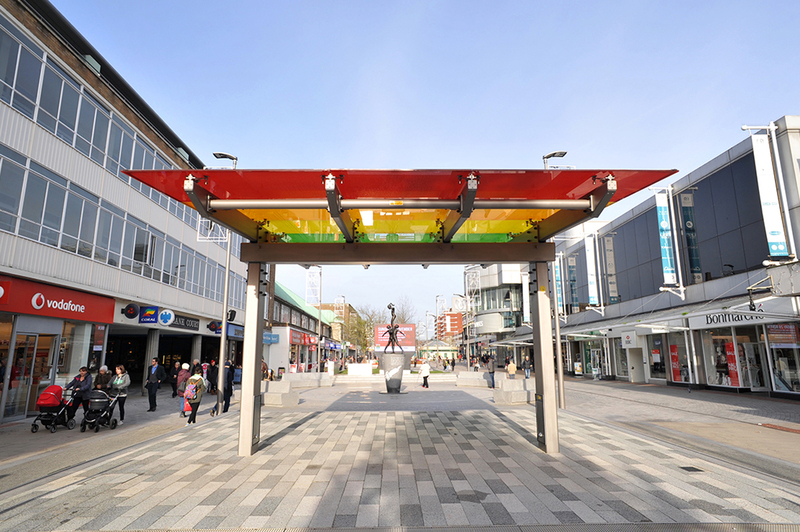 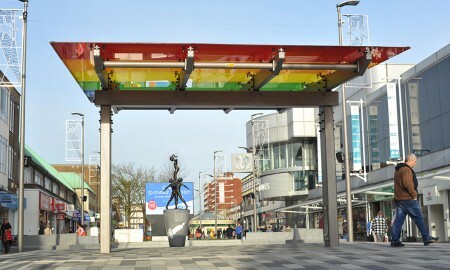 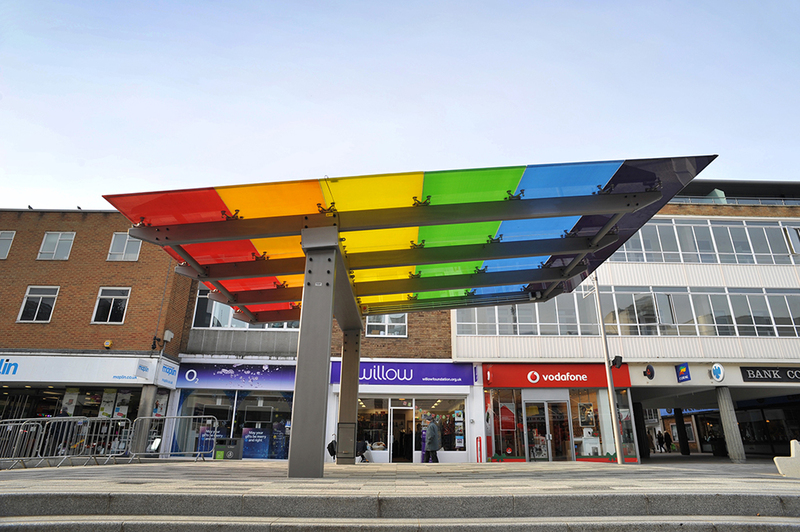 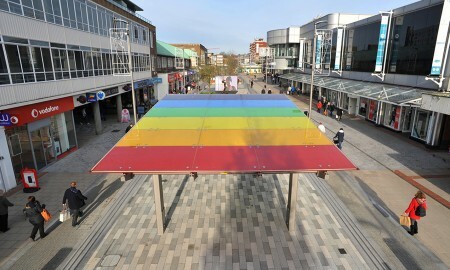 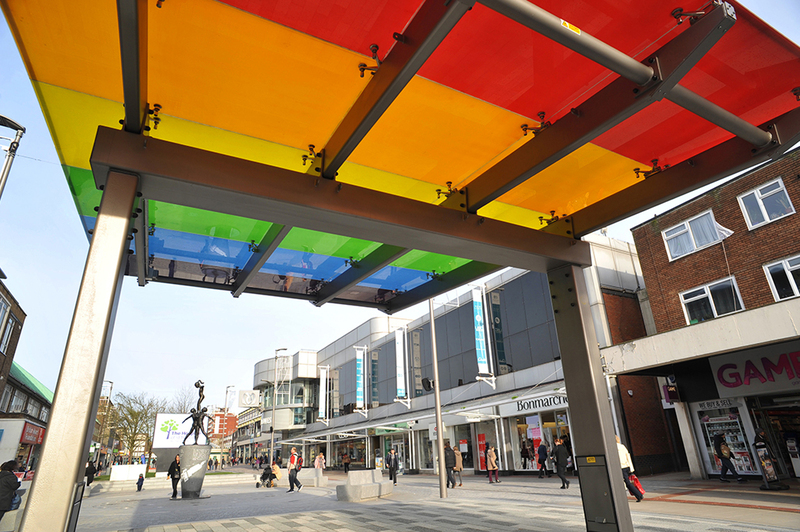 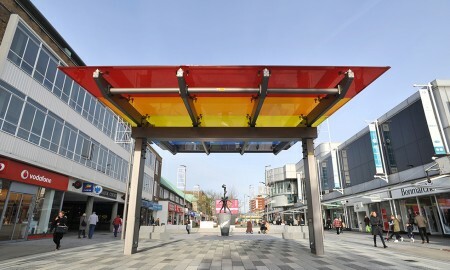 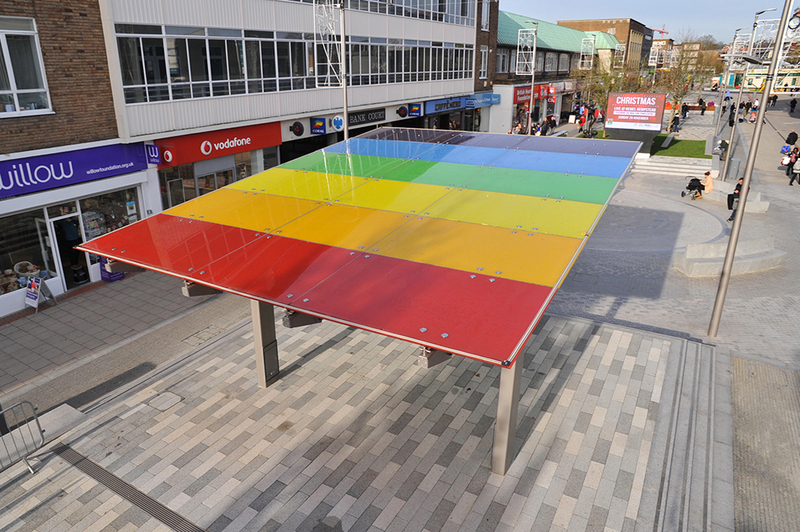 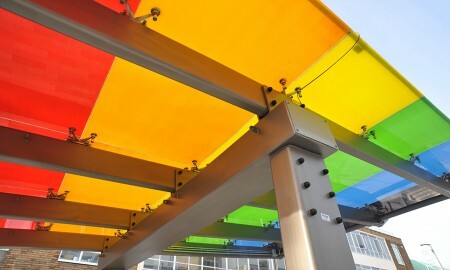 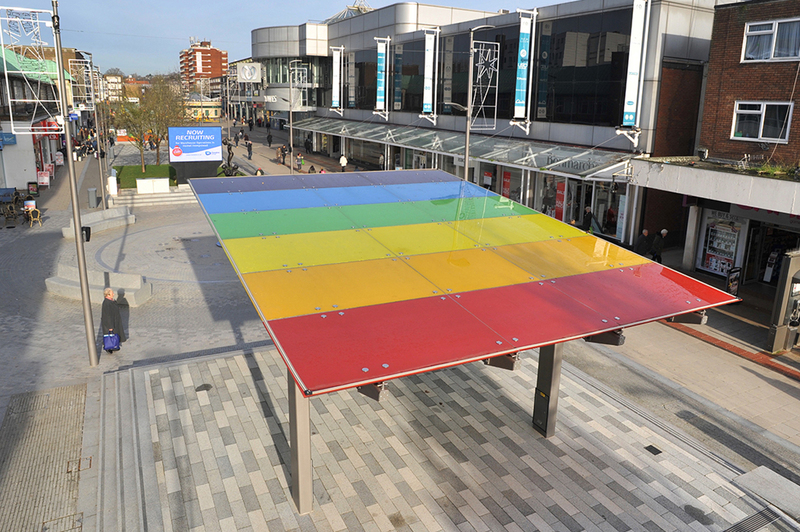 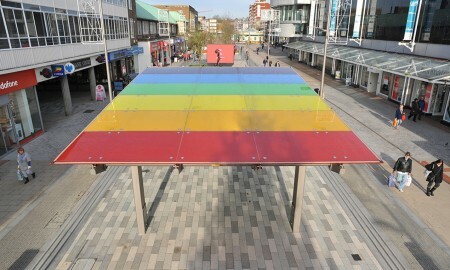 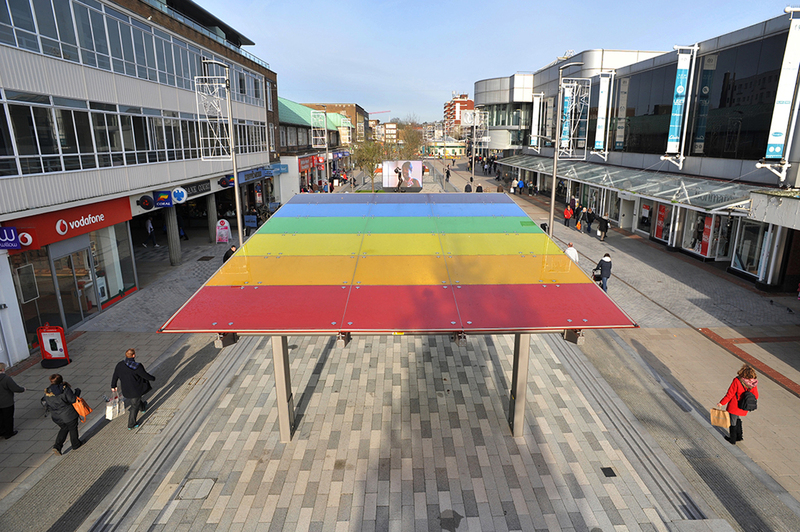 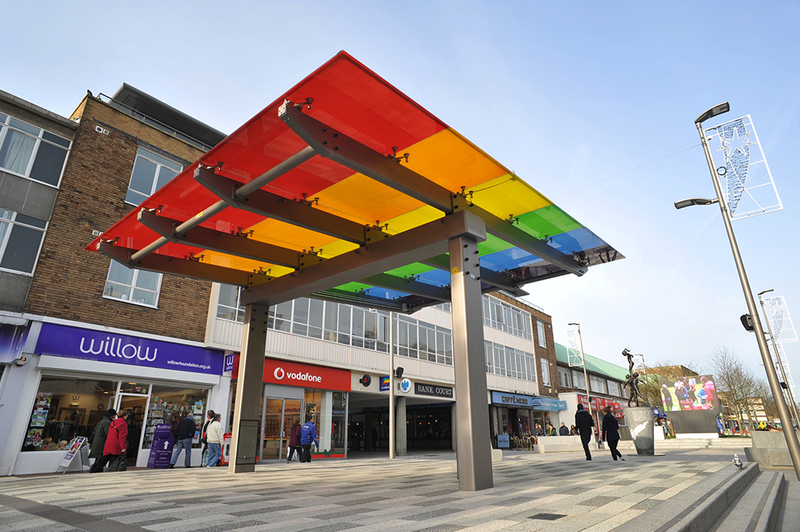 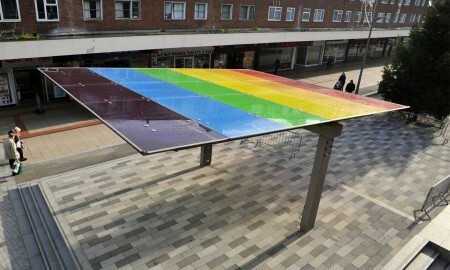 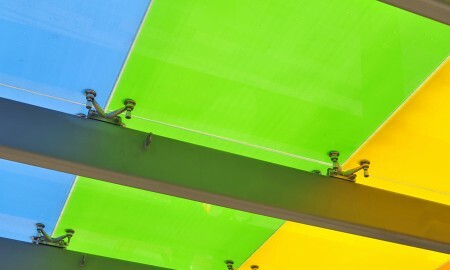 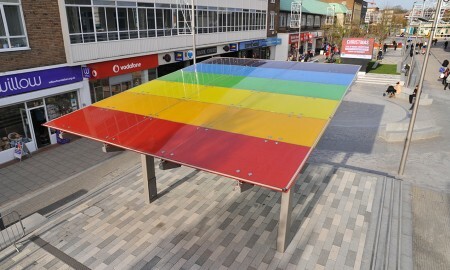 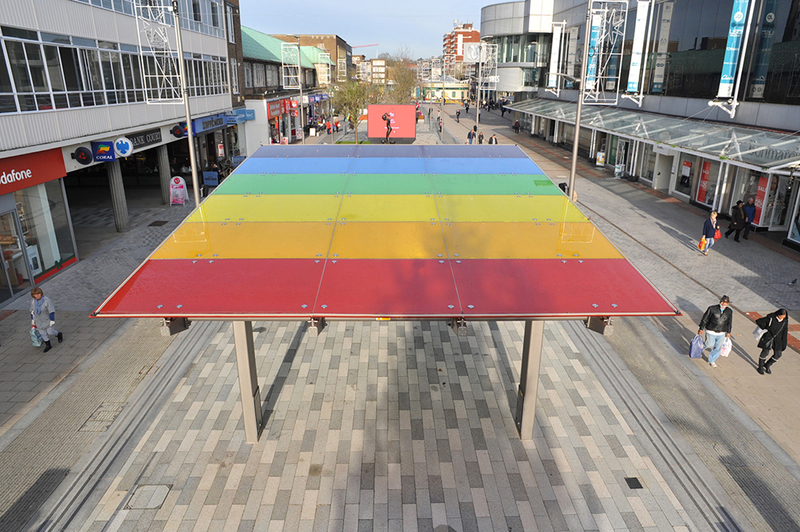 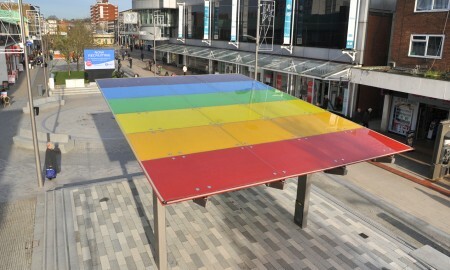 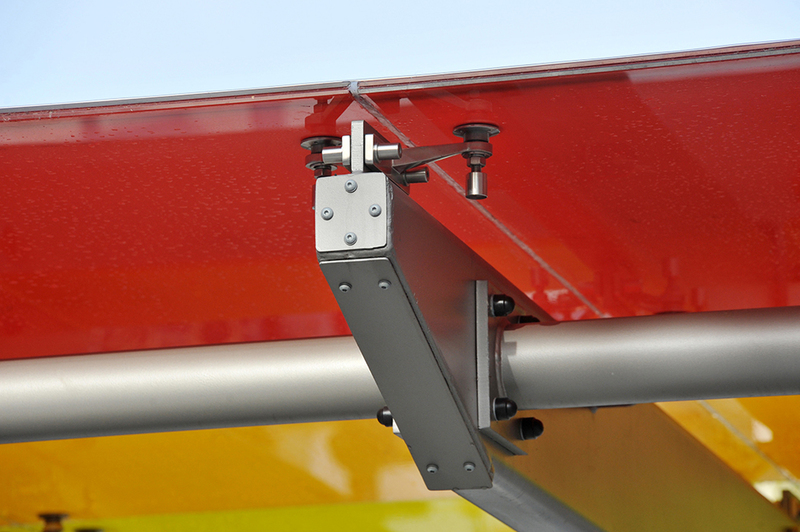 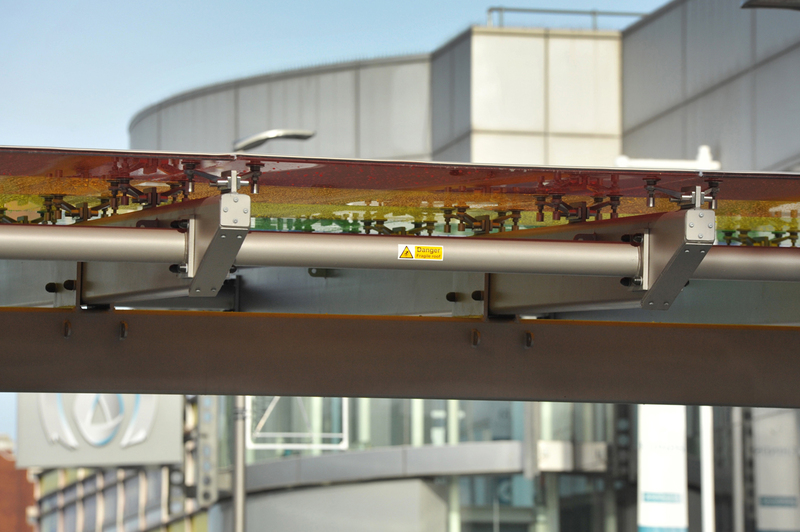 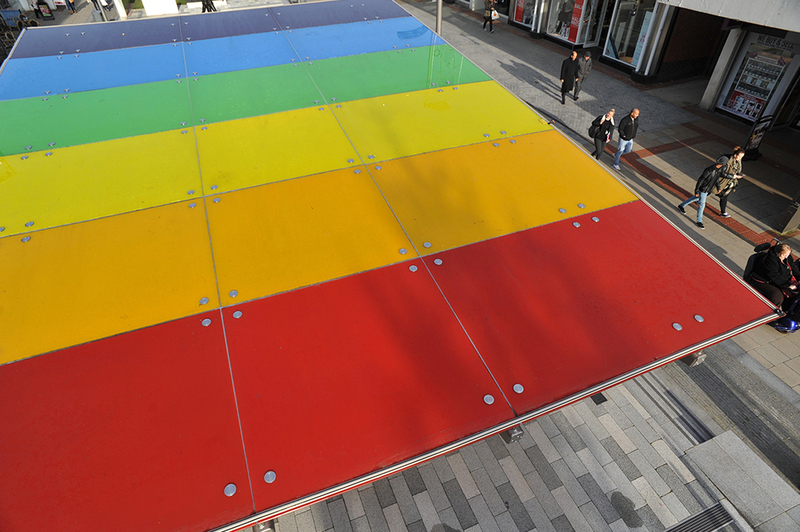 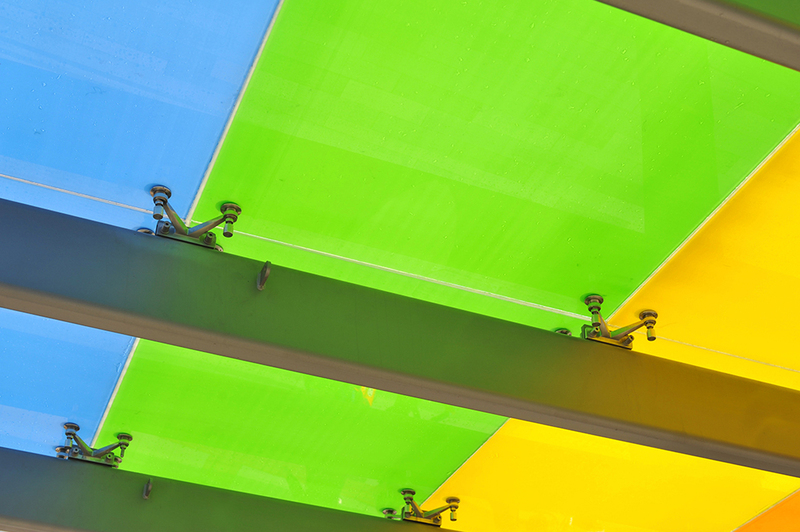 Marlowes Shopping Area in Hemel Hempstead was being overhauled and following an architectural design for a new performance canopy situated in the centre of the shopping area and reminiscent of Marlowes already existing rainbow memorial. 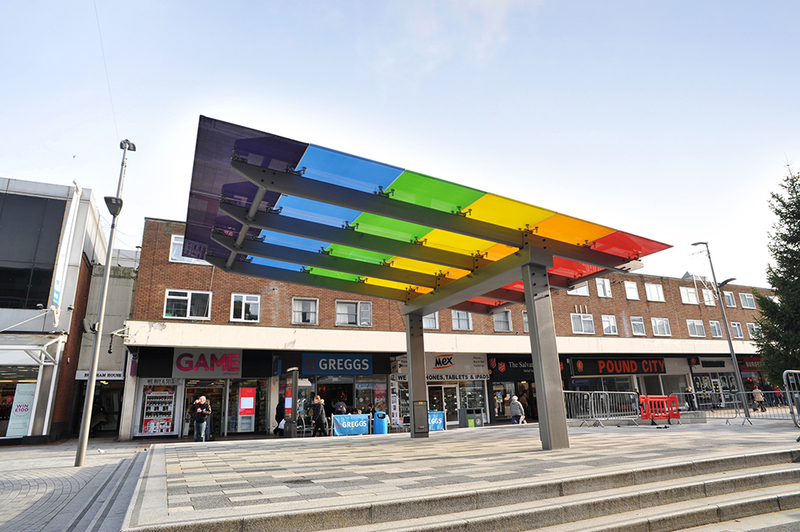 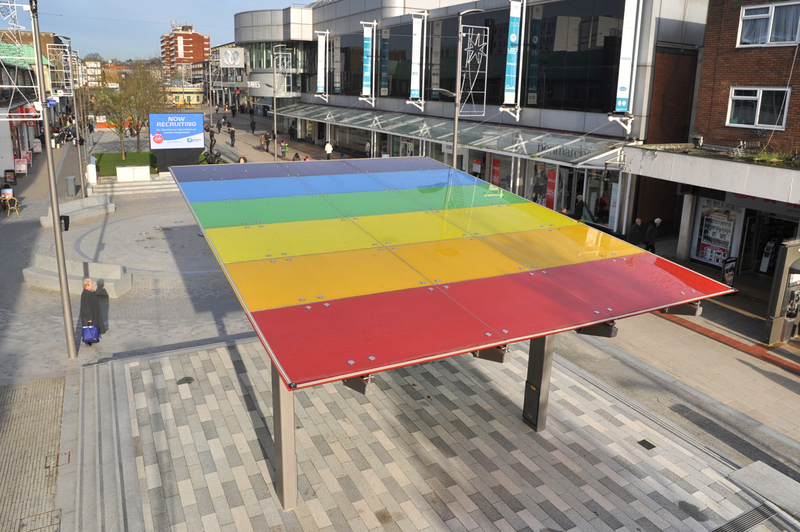 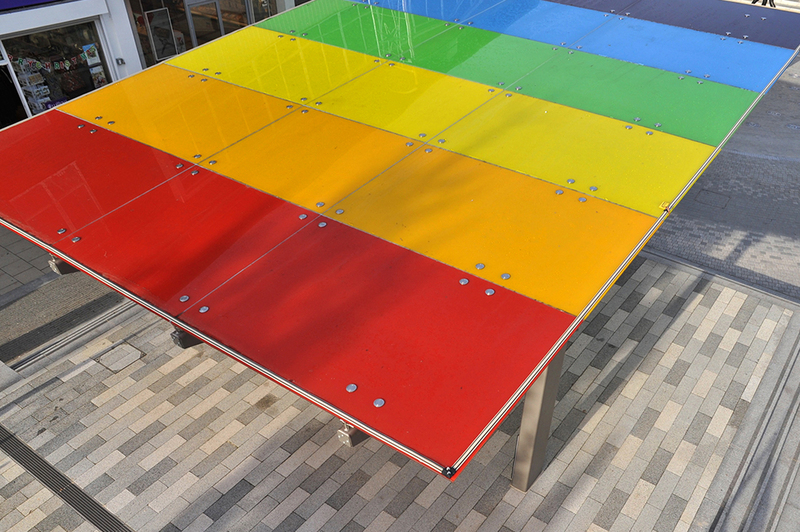 Instructed and developed by Greenford Ltd, Broxap were invited to discuss engineering elements associated with constructing a light and airy rainbow styled steel and glass structure suitable for artists to perform beneath. 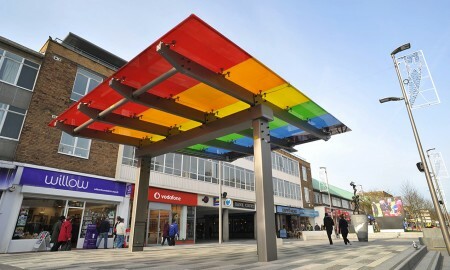 From the original concept there was created two versions, one a more heavy duty version with more steel aspects and the other a lighter airier canopy consisting of minimal glazing to the top held in place by stainless steel spiders. 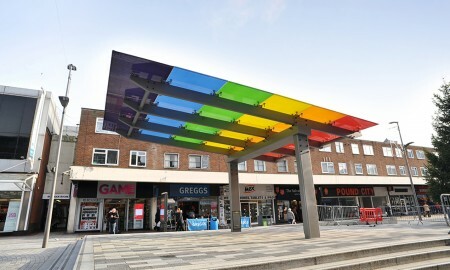 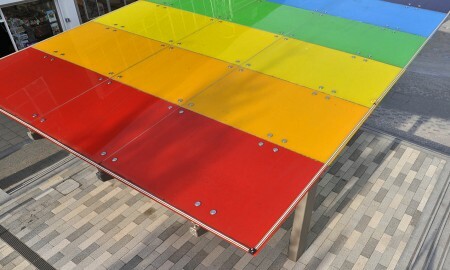 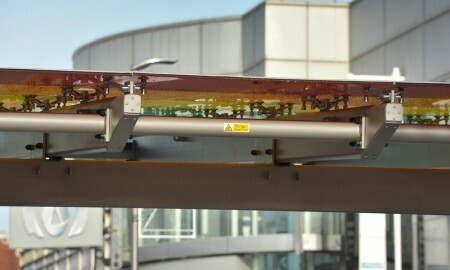 Both concepts consisted of rainbow style glazing and electrical service hatches to the columns. 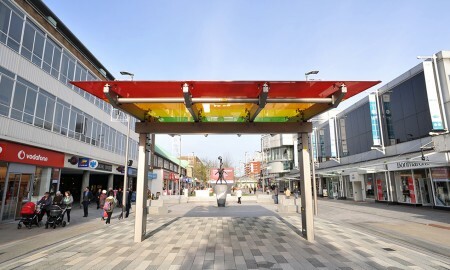 The lighter concept was chosen and production began in line with the regeneration of the shopping area. 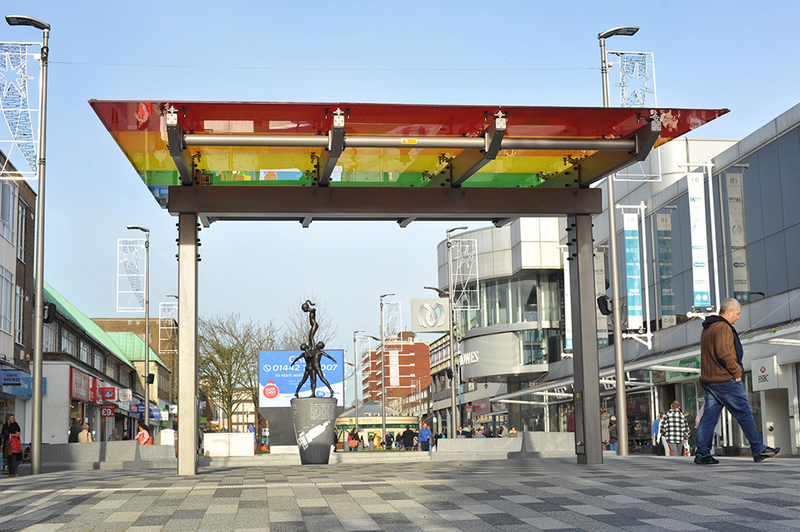 The project was delivered with various sub-contract works and regular site visits by the contract manager. 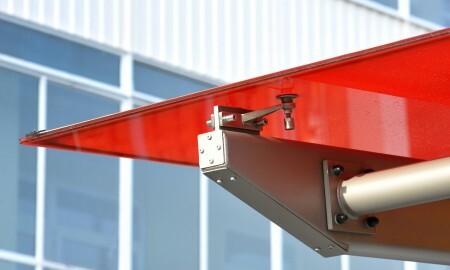 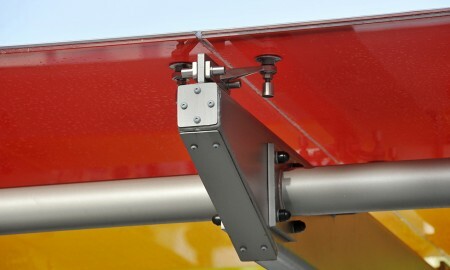 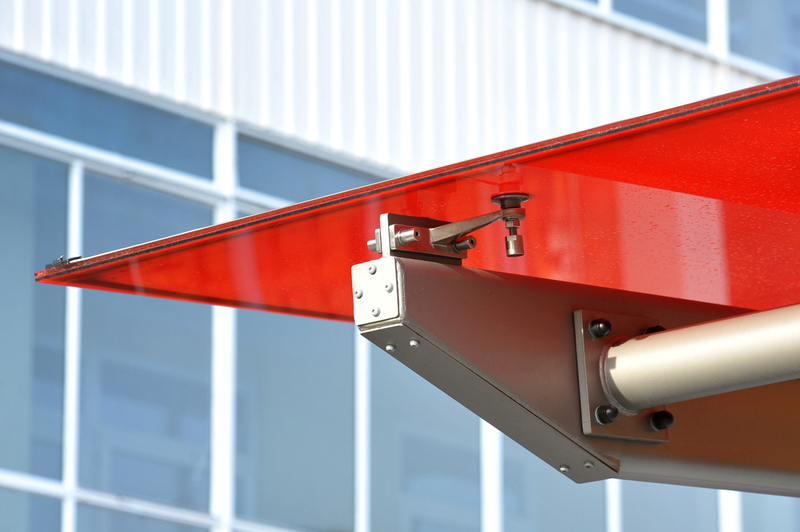 Installed on time and within budget using various plant and cranes throughout. Works consisted of large-scale welded, galvanised and powder coated steelwork with stainless steel glazing spiders and bespoke glass colourings. 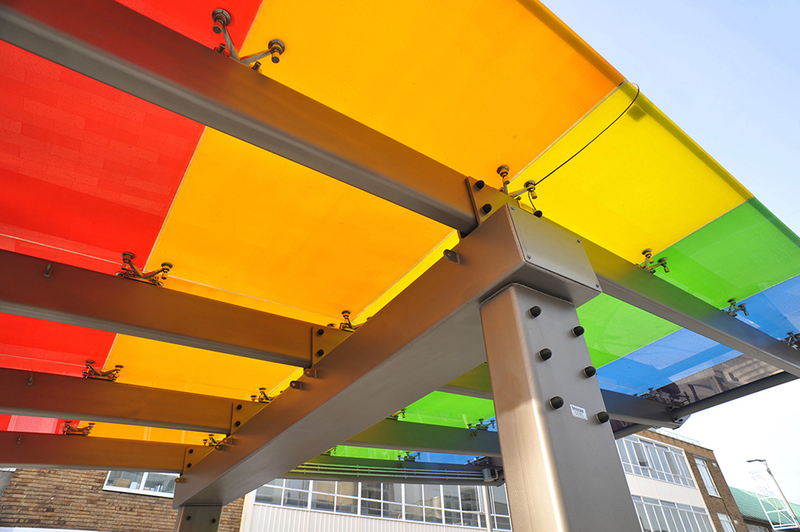 Broxap undertook a full trial build at their factory prior to despatch to galvanizing and powder coating. 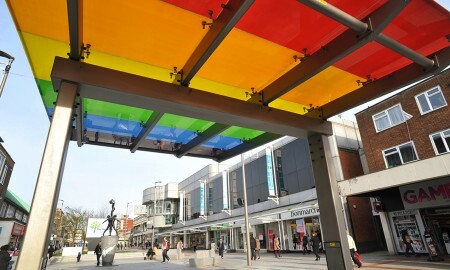 The result is a fantastic modern conceptual canopy that is representative of the regeneration and history of Marlowes.